Ever ahead of their time, Roxy Music released this quintessentially eighties album right at the beginning of the decade. It's the audio equivalent of glossy magazines like GQ, a wide-screen production tastefully swathed in reverb, delay and chorus (the definitive eighties sound effect) - in summary, many of clichés of the music to follow. 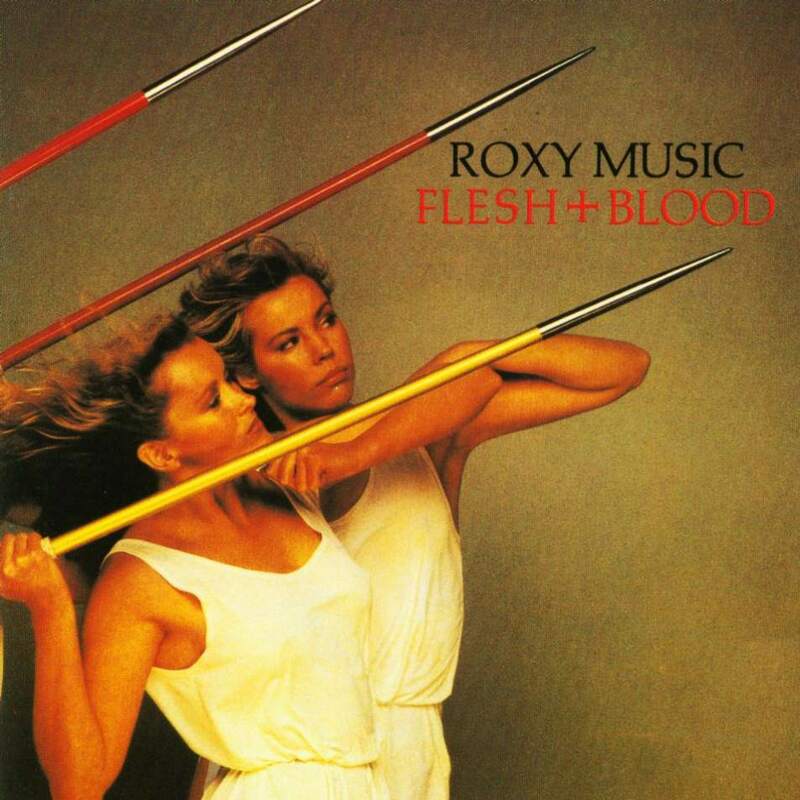 However, since this is Roxy Music, it is all done with style and restraint. It sounds wonderfully organic rather than processed. The piano introducing "My Only Love" has just enough delay and modulation to broaden the sound out, the bass interlocks subtly with it and the drums and the strings echo the keyboard hook. It sounds so luxuriant. Maybe it's because I've just finished reading Guy Pratt's My Bass And Other Animals (a most entertaining read from a well known session bassist), but I was particularly aware of the bass on this album - yet another way in which it foreshadowed one of the key sonic elements of the decade. Whether it's providing bubbly funk in "Same Old Scene" (Pratt says that once you've mastered the bubble, it's all you want to do), anchoring and driving the whole of "Over You", winding rubberily through "My Only Love" or playing more traditional counterpoint in "Oh Yeah", it's always upfront. The four songs mentioned so far are easily the best, a quartet of absolute classics anyone would be proud of and making this album easily worth the entry price. Listening to the start of "My Only Love" or "Same Old Scene" on my newly setup speakers at a decent volume is my new favourite pastime. The rest of the album is not quite at the same standard. Some songs are perfectly acceptable - a smooth lounge-funk reading of Wilson Pickett's "In The Midnight Hour" is nice, the title track has a decent enough melody and "Rain Rain Rain" had a nicely minimal feel (relatively speaking; we're not talking as minimal as, say, Mark Hollis). But the cover of The Byrds' "Eight Miles High" does no-one any favours and the other songs are forgettable. I had a fun experience the other day. I got to be a magician. We moved and transferred our cable broadband account to the new house. Two engineers came to install it, one about my age with a seen-it-all demeanour, and his junior partner, a gawky young apprentice. They pulled out their toolboxes, prised the covers off the existing boxes on the outside of the house and started testing connections with some neat-looking devices. I asked some desultory questions and got convincing answers about signal strength. So far, so hardware, it's all a bit over my head. Or rather, under my feet - I've never really had much interest in low-level infrastructure. They connected up a shiny new cable modem/router and waited for it to boot properly. It didn't work. They got another out of the van and tried again. It looked like it was working this time, so they asked if I had a computer. "Several," I answered, "what do you need to do on it? Does it need Windows or can I use Linux?" "Linux?" the older guy asked, looking confused. "I just need Internet Explorer." OK, we can do a browser without having to resort to Windoze (or <deity> help us, IE), so I got out my Ubuntu laptop and fired up Chromium. After struggling for a minute or so, he handed it back to me and asked to go to a web page. Nothing. No connection. They got another hub from the van and tried it. Looked good, so we tried the web site. Still no response. They were just about to go and see if they had any more in stock, so I asked them to wait a moment. "Let me just try something," I said. "It looks like the DNS isn't resolving." I opened a terminal window and typed a quick command in. Here's a screenshot of what I did. "Looks like it's resolving now," I said, "let's try the web site again." Sure enough, it worked this time. The engineers were absolutely flabbergasted. "Did you see that?" said the older man, "he's like Neo in The Matrix! We've been sending these hubs back as broken and it just needed this guy to sort them out!" I tried explaining that we'd just left the router long enough for it to sort itself out, but they weren't having it. As far as they were concerned, I'd employed strong tech-fu to make it work. They were still talking about it twenty minutes later when they left. I guess if you've never seen a command line before, it's all like ... magic. 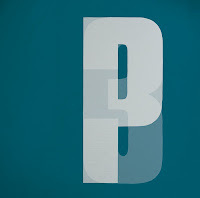 It took me a long time to realise that Portishead didn't produce sampled-up, slowed down [tr|h]ip hop, but latter-day sixties film noir soundtracks. That's not my field of expertise but the influences are more Lee Hazelwood and Ennio Morricone than Public Enemy. Third makes this more explicit than their previous two albums, to my ears. The atmospherics are, if anything, stronger than on Dummy and certainly colder. The album as a whole feels bleak, cold and negative. That's not necessarily a bad thing. The quality of arrangement is consistently superb, a scarcity of instrumentation emphasising the emotions and making the occasional changes more stark. A good example is "Magic Doors", the penultimate track and probably my favourite. The verse is all on one chord, mainly drums and bass, with noodly keyboards way in the background for atmosphere. On the chorus a simple piano crashes chord changes and the contrast really highlights the melody. Then pretty much everything stops for a honking, free-form saxophone solo that seems too fraught to find itself before resolving to an almost vocal texture. Fantastic. Other highlights include "The Rip", which wouldn't be out of place on Beth Gibbons & Rustin Man's Out Of Season. It starts off very pastoral, but I like the way that after each chorus it artificially sustains Beth's voice, the organ starts throbbing and the percussion kicks in. Very cool. "Machine Gun", which was the first single if I remember correctly, sounds like a deliberate attempt to alienate all but the most committed listeners. It is so uncompromising, consisting mostly of a primitive, jarring drum machine and the vocal. The shame of it is that when, for the last 30 seconds, the keyboard joins in, it is vastly improved. The sole foot wrong is "Deep Water", a faux-folky thing with a ukulele, which I could do without really, and in which Beth pretends to sing out of tune. Unnecessary. Overall, not easy listening and only for very specific occasions, but an accomplished album all the same.